Manufacturing Floors – facilities need tough, durable & hard-wearing industrial systems designed to be easily cleaned & maintained while holding up to heavy machinery, frequent wheeled cart, tow motor & forklift traffic, impact concerns, as well as oil, grease and chemical exposures. 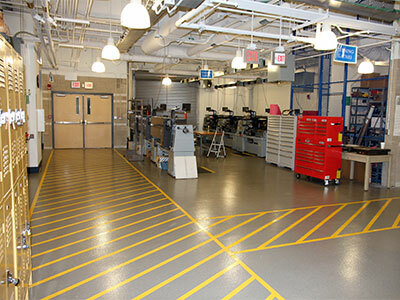 Ergonomics like color, non-slip texture, traffic, work zone & directional floor markings help to highlight safety & image while facilitating a more efficient manufacturing process. Our range of hardworking, non-porous, chemical & slip resistant industrial flooring systems are engineered to perform and endure in these sometimes harsh and demanding environments. Production or manufacturing areas are subject to the exposures of long running, heavy-duty equipment, tow motor & forklift traffic. 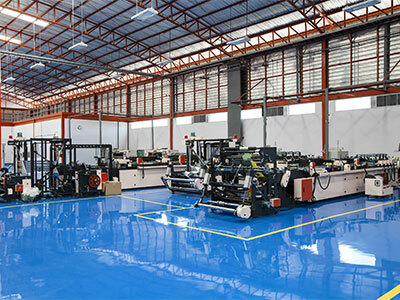 The flooring system needs to continuously perform with the daily workloads- to help maintain work zone efficiency- to be easily cleaned & maintained- to provide non-skid resistance when the area is slippery from machine oil and grease- to resist chemical spills- to remain hard-wearing & impact tolerant under high traffic demands- and to offer visual appeal to workers and to customers. 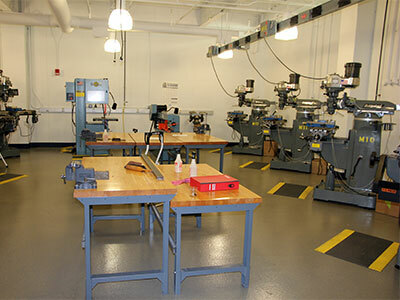 In machine & workshop areas, the flooring system must be tough and hard-wearing to endure heavy workloads, dropped tools, spilled fluids, and large equipment used to fabricate, tool, finish and repair what is needed in the production areas of the facility. These floor areas must also be able to withstand the lubricants, metal shavings, scraps, and filings that may become ground into the finish with frequent traffic patterns in and out of the work zone. Ease of cleaning & maintenance coupled with non-skid resistance are needed to enhance overall safety and appearance. Chemical, stain, impact and abrasion resistance are often critical considerations. A clean, light reflective & vibrant colored floor in the workspace can also motivate better efficiency. Loading dock and staging areas receive heavy wear & tear from frequent and prolonged periods of forklift and/or tow motor traffic. Pallets and boxes may be occasionally dragged, and pails or drums could be accidentily pierced or dropped causing potential spill issues and safety concerns for slip and fall incidents. These material handling floor areas need to be extremely durable and hard-wearing to endure the physical punishment they receive on a regular basis. Impact resistance requires an aggregate “filled” resurfacing system with some real “build” or thickness to absorb heavy & high traffic loads. The finishes need to offer excellent resistance to material spills, as well as abrasion and varied non-slip resistance for overall durability and safety. Easy to clean & maintain, light reflective, and color vibrancy will also help to enhance flow and efficiency with material staging and handling. Warehousing and distribution are vital areas where stock is stored and staged. 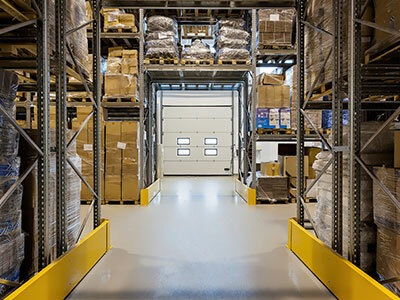 These areas typically require a smooth and even surface for material handling traffic and storage. The floor needs to be easy to clean & maintain, hard-wearing, durable and long-lasting. A vibrant finish in color and light reflectivity will brighten and enhance the area for personnel and customers. Various non-slip textures can be considered for potential exposures to wetness. Mechanical rooms may be situated in a basement area or an elevated concrete slab on deck in a Penthouse located above other occupied spaces. These areas need to be waterproof to any potential leaks from the roof or malfunctioning of water, air or heat supply systems. The Mechanical Room (MR) system is typically a high-build resurfacing material (1/8”-1/4”) utilizing a waterproofing elastomeric membrane to prime/seal the substrate with an aggregate-filled polymer overlay- either self-leveling or broadcasted with natural quartz or our rubberized granules for sound deadening and a degree of comfort under foot. 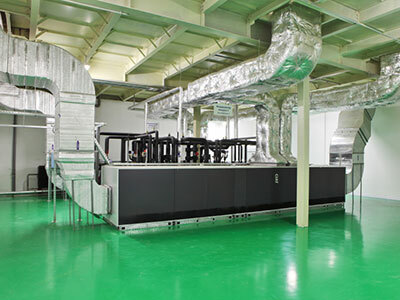 Surface finish of the Mechanical Room (MR) system can be varied to accommodate different levels of non-skid and chemical resistance. This seamless flooring application also provides excellent protection against point-impact damage, vibration and substrate movement.